1 Find A Grave, (accessed 08/31/2012). 2 Franklin County at the Beginning of the Twentieth Century: Historical Record of its Development, Resources . . ., Columbus, Ohio: Historical Publishing Company (1901), 131, Google Books (Digital Library). 3 Fay, Orlin P., Fay Genealogy: John Fay of Marlborough and his Descendants, Cleveland, Ohio: Press of J. B. Savage (1898), 103, Heritage Quest (Digital Library). 4 Roberts, Gary Boyd, The Royal Descents of 600 Immigrants to the American Colonies or the United States , Baltimore: Genealogical Publishing Co. (2008), 420, 434, 436, 443, 857. 5 Roberts, Gary Boyd, comp., Ancestors of American Presidents , Boston: New England Historic Genealogical Society (2009), 429, 431, 434-447, 452-453, 455-460, 462-463, 470, 477, 480-482, 489-490, 496-510, 512, 662. 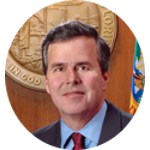 6 Wikipedia, "Samuel P. Bush", (accessed 05/15/2010), [Death].